Eden Organic Red Quinoa - an ancient Pasankalla variety organically grown on family plots at over 12,000 ft. on the Andean Plateau. The rare soil and environ grow these precious seeds. Best amino acid profile of all grain. EFAs. Quick cooking. High fiber. Easy to assimilate. B vitamins. Rich in folate and magnesium. 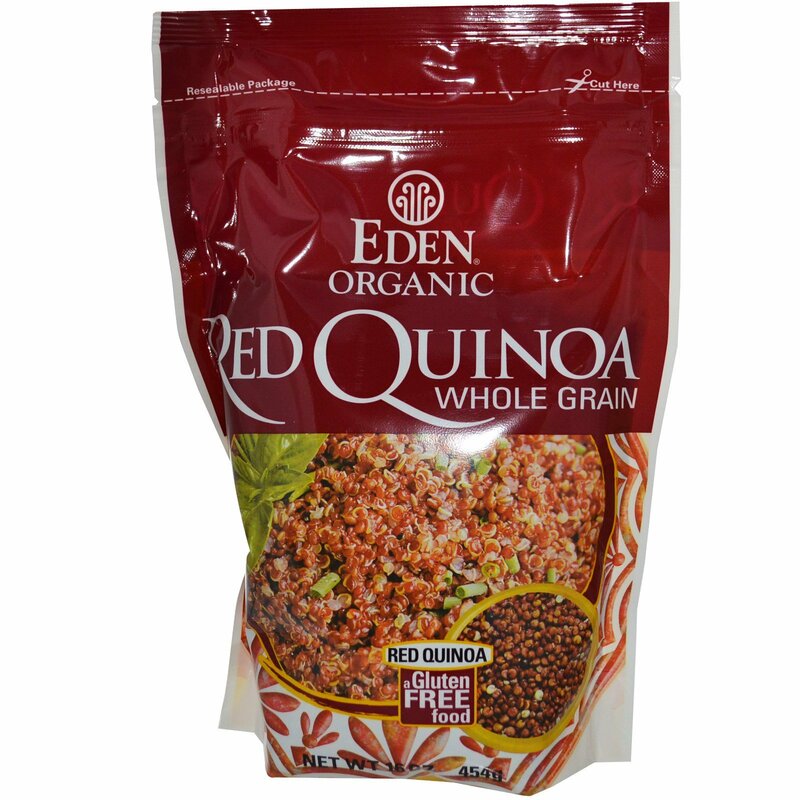 Red Quinoa is sweeter than white. A fluffy grain as versatile as rice with a delicate nutty flavor. 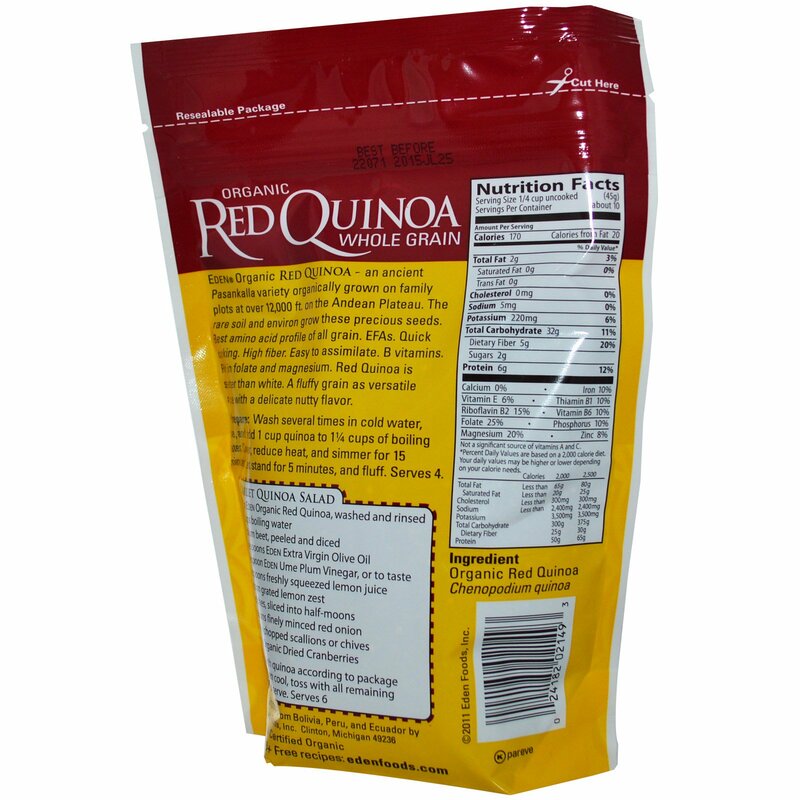 To Prepare: Wash several times in cold water, rinse, and add 1 cup quinoa to 1 1/4 cups of boiling water. Cover, reduce heat, and simmer for 15 minutes. Let stand for 5 minutes, and fluff. Serves 4.